Superheroes among us: celebrate teachers! But there are superheroes among us every day. You don’t have to go to the movies or read about them in books. You can find them in our teachers, our coaches, and our mentors. And May 5, 2015 is National Teacher Day, a day when can show our appreciation for our teachers. Looking back at my school days, I am grateful to have known Ms. Foster, my fifth and sixth grade teacher, who set up a classroom “bank” and introduced us to checking accounts… Mr. Tiffany, my speech teacher, introduced me to public speaking (and whose loud and smooth voice was both intimidating and comforting)… Mrs. Woliver, my free-spirited and enthusiastic eleventh grade English teacher, who gave us off-beat and creative writing assignments (like conversations with my body)… and Ms. Powers, my twelfth grade English teacher, who emphasized critical writing and analysis (and who scared me a little). * Write “Superhero Thank You Notes” – this set is designed by elementary teacher Whitney Parlin, a free download on TeachersPayTeachers.com. * Give a gift card with a colorful super hero gift card holder from Jen Goode’s 101Directions blog. You can also share your appreciation for teachers with the world using #ThankATeacher, or get inspired by the appreciation of others, at the National Education Association’s “Thank a Teacher” Storify feed or on the Hawaii State Department of Education’s Facebook page. What teachers have inspired you? What do you remember most about your favorite teachers? April 22 is Earth Day, a day to celebrate the Earth and re-commit ourselves to taking care of the Earth and making the world a better, healthier place. The theme of this year’s Earth Day event is “It’s Our Turn to Lead” – so that world leaders can follow by example. There are many ways, big and small, that we can celebrate the Earth – whether you pledge to conserve energy, buy local produce, or start composting at home… volunteer for a beach clean-up or drive less in your neighborhood… recycle e-waste, stop using disposable plastic, or combine capitalism with community service at work. But one of the most powerful ways we can help the Earth is to teach our children to be good stewards of the Earth. Last year, my son brought home a bag of cleaned “trash” – including plastic take-out bowls, a plastic cat foot container, and a spoon. 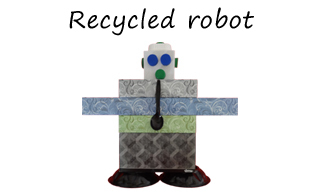 His second grade assignment was to create something out of recyclable materials. I added some empty tissue boxes, bottle caps, and toilet paper rolls, and he turned it into a 17” tall robot he named Mr. Roboto (no relation to Styx’s “Mr. Roboto”). 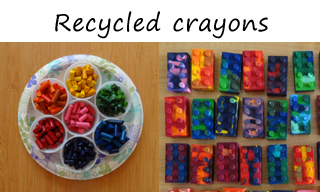 This year, we’re celebrating Earth Day with recycled crayons. Instead of throwing them away, we took my son’s broken crayons, melted them down in a craft oven, and created crayon “bricks” to give to his classmates. By combining two or three colors, we created interesting marble-like effects. If you would like to encourage children to get involved with taking care of the Earth, the County of Hawaii has links to free classroom lesson plans, including an Earth Day curriculum. 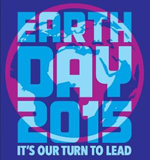 * On April 22, University of Hawaiʻi at Mānoa Earth Day at Campus Center, 10:00am-4:00pm. From carbon offsets through tree planting to the plant-based selection of grinds, the 2015 UHM Earth Day Festival will try to minimize its footprint as much as possible. * On April 25, 7:30 am to noon, celebrate Earth Day Hawaii with a Mauka to Makai Cleanup at Kualoa Ranch on Oahu with Adopt-a-Beach Hawaii. Throughout 2014, they cleaned up 110 miles of Oahu shoreline and collected 13,955 pounds of trash! * On April 25, join the Polynesian Voyaging Society (PVS) and Sustainable Coastlines for a Mauka to Makai Cleanup at Kailua Beach Park. This is part of Hōkūleʻa’s “Birthday to Earth Day” campaign. * On April 25, 9 am to 3 pm, visit the Grow Hawaiian Festival at the Bishop Museum in Honolulu. Learn about Native Hawaiian plants and how you can help protect our island environment. Admission is free with valid kama’aina and military ID. * On April 25, 7:30 am to noon, help cleanup debris with Manoa-Kanewai Adopt-a-Stream at Manoa Stream in Manoa, Oahu, from Kanewai Park to Waialae Avenue, hosted by Mercy Worldwide. * On April 25, 9 am to noon, get involved with the Kawa Adopt-a-Stream at Kawa Stream in Kaneohe, Oahu with the City and College for Every Student Club at Castle High School. How will you celebrate Earth Day? What can you do to champion the Earth? Last month, the City and County of Honolulu asked for our ideas and input about the future Ala Moana Beach Park. They spent a lot of money on a flashy interactive website and held community meetings. To me, the future of Ala Moana Beach Park isn’t that complicated. At a fundamental level, all beach parks should be safe, clean, and well-maintained. * Safe, clean restrooms and showers. To save electricity, we could have motion-sensor night lights that brighten when someone approaches the restrooms. To save water, we could have one-minute timers on the showers. * Safe, well-lit parking lots with convenient bicycle racks. To cut down on traffic and road maintenance, maybe we could start a pilot project to prohibit buses and shuttles from entering the park –they could drop off and pick up passengers at a bus stop along Ala Moana Blvd. * Well-maintained pathways for pedestrians, joggers, and bicyclists. To make the pathways safe, we could have motion-sensor night lights that brighten when someone walks by. * Durable picnic tables and benches. To encourage recycling, there should be recycling bins near picnic tables and trash bins. Here’s my vision for Ala Moana Beach Park: we should create an Ala Moana Beach Park experience by adding art, history, and exercise. * Walking tours of the park. We could partner with a nonprofit to offer the tours that explain the park’s history, unique design, and beach safety. We could also work with neighborhood high schools as part of a community service project to promote history, public speaking, and fitness. * Fitness and exercise stations. We could offer fitness classes through the Department of Parks and Recreation; or partner with a fitness club or hui that could help with maintenance and cleaning. * Canoe rides in the canal. The canal is a safe, enclosed area (though in need of maintenance). To encourage canoe paddling and fitness, we could offer a canoe paddling class through the Department of Parks and Recreation, or work with neighborhood schools on canoe building projects. * Raise awareness about the existing Hoa Pāka program. Actively search for park volunteers and donations for park benches and picnic tables. To save money, look for ways the community could help install exercise stations, design unique playgrounds, and paint murals. * Raise money with commemorative park “pavers” along sidewalks and paths. This would give park visitors a sense of history and connection to the park. * Raise money with food truck sites. Two food trucks sites could be located at both ends of the park to avoid competing with the permanent concession stand. To qualify for a permit, food trucks would need to offer food and drinks that are not typically available at the concession stand. This would give park visitors a chance to try new foods, and offer food truck entrepreneurs a chance to reach more people. 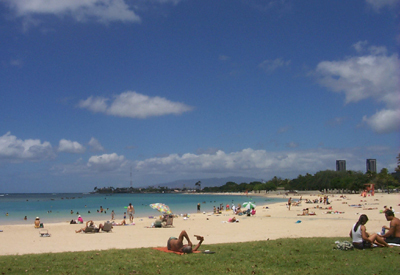 Have you ever visited Ala Moana Beach Park? If you have, what are your favorite memories of the park? What would you do if you were responsible for its future? In Lauele, Oahu, Hawaii 11-year old Alexander “Zader” Kaonakai Westin has vivid dreams and is strangely allergic to water – he gets blisters if he gets wet from salt water, rain water, and even bath water. When he is bullied at Summer Fun, despite support from his brother Jay, their Uncle Kahana Kaulupali decides to teach Zader, Jay, and their friend Char Siu (Charlotte Suzette) the Hawaiian lua, or self-defense. Uncle Kahana watches Zader struggle with his ailment, and even creates a clunky, home-made hazmat suit so that Zader can get close to the ocean. 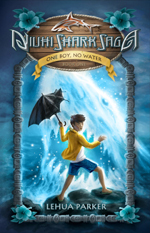 When Jay sees a shark and is no longer willing to surf, Uncle Kahana tells them both about the fierce intelligence of the Niuhi shark, but it is Zader who finds a way to help Jay cope with his fears and return to the ocean. Woven throughout the story is the mystery of Zader’s birth, a woman named Pua who is drawn to the land despite its danger; and Zader’s dreams of Dream Girl, who shows him fantastical places and warns him about Kalei, a scary man with too many teeth. At the end of the book, we are left wondering who Zader really is, whether he is in danger now that he has shed his blood at Piko Point, and what will happen now that the new art teacher, Justin Halpert, has taken an interest in him. There is also a brief commentary about Native Hawaiian rights. Pua and Kalei mourn that they have lost part of their land, and Kalei says, “What’s done is done… What do you want me to do? Run around waving signs, chanting ‘Keep Hawaiian lands in Hawaiian hands?’ That won’t give us this beach back. Nothing will. 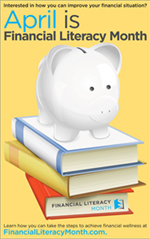 Too many people think they own parts of it now.” (page 91). Note: Lauele is a fictional town, and the Pidgin dialect uses mostly Standard American English spelling for readability. You can find classroom materials on the Niuhi Shark Saga website. If you were allergic to something in everyday life (like water, sunlight, moonlight, dirt, or grass), how would your life change? Have you ever been bullied? Have you ever stood up for someone being bullied? Have you overcome a childhood fear? You are currently browsing the Better Hawaii weblog archives for April 2015.